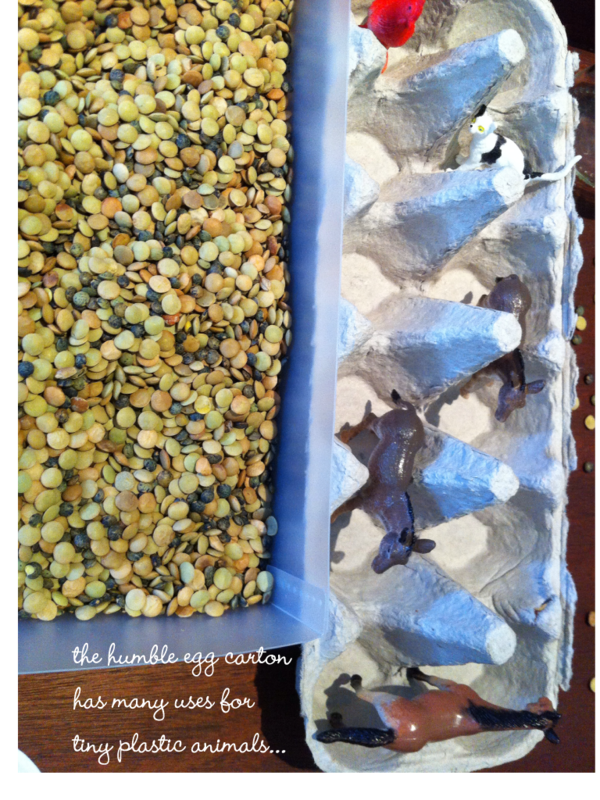 We recycle most of our rubbish, but sometimes I collect egg cartons, cute and interesting plastic/glass containers for various arts and crafts. 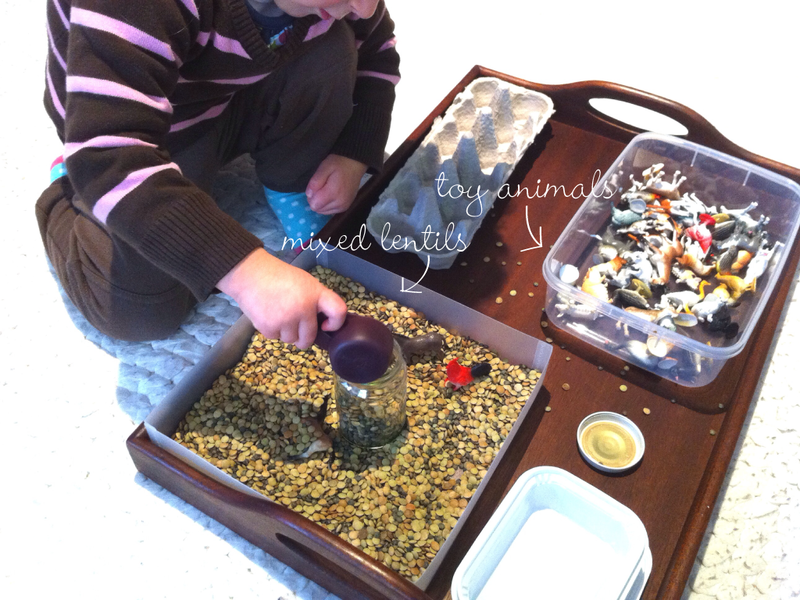 Here we have used lentils and a few bits and bobs to create a game of hiding and finding the toy animals. 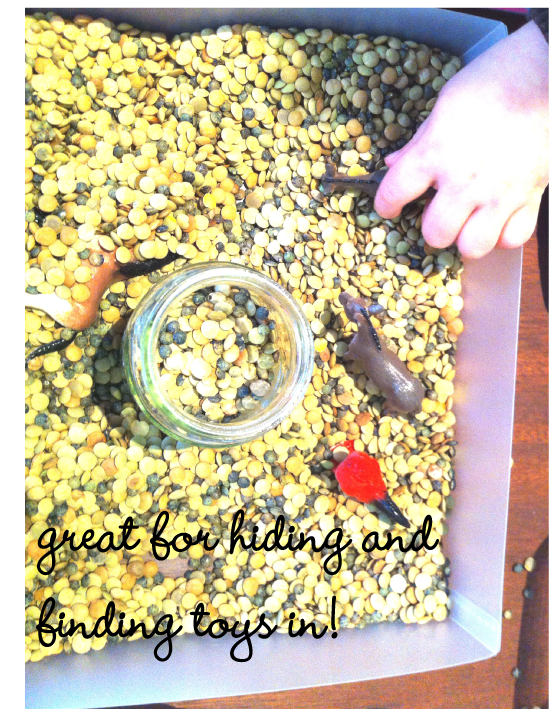 This activity lasts a good 20 minutes before our poppet gets bored and needs a different source of stimulation…hello Dora!